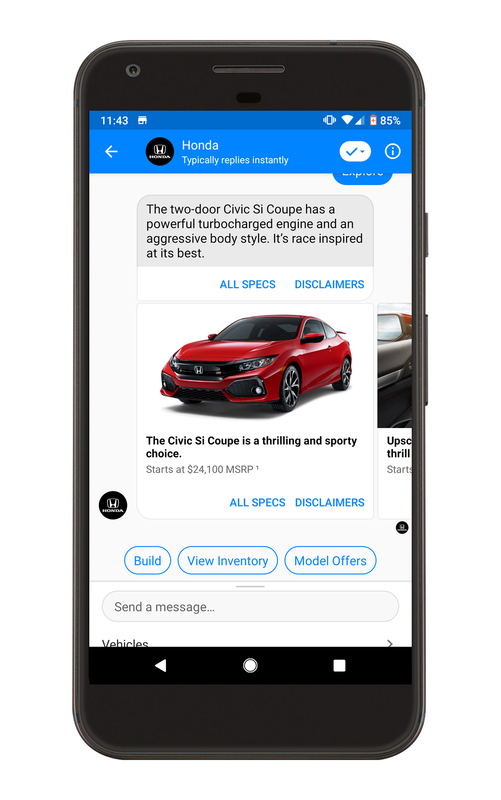 The Shopping Agent turns the online, new-car shopping experience into a conversation that takes place on a variety of channels from mobile web, to desktop, to Facebook messenger and others. 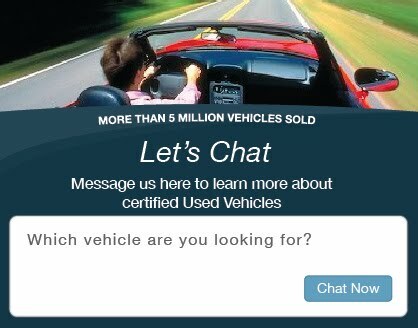 It allows users to browse all of a manufacturer’s vehicles and quickly get answers to questions about pricing, MPG, horsepower, roominess, and much more. The agent also organically moves users further down the shopping funnel by suggesting appropriate high-value actions like get a quote, view inventory, find nearby dealers, get trade in value, competitive comparisons, schedule a test drive and more. The Shopping Agent provides the user with an on-demand navigation experience. 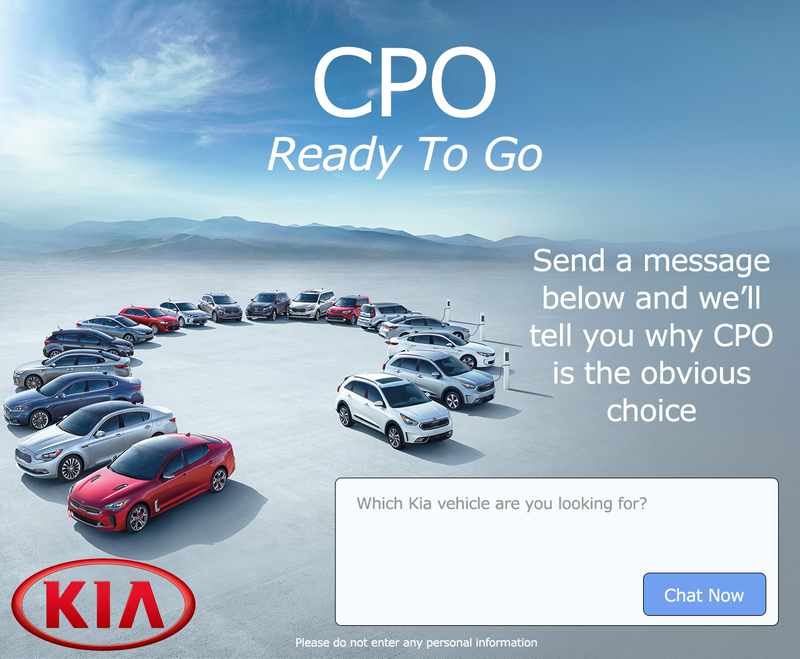 The automotive brand get an unprecedented view of what the customer really wants . About 50% of visitors to auto brand websites and social channels are current customers needing help with warranty information, pairing their phone, getting a replacement key or searching for parts and accessories. 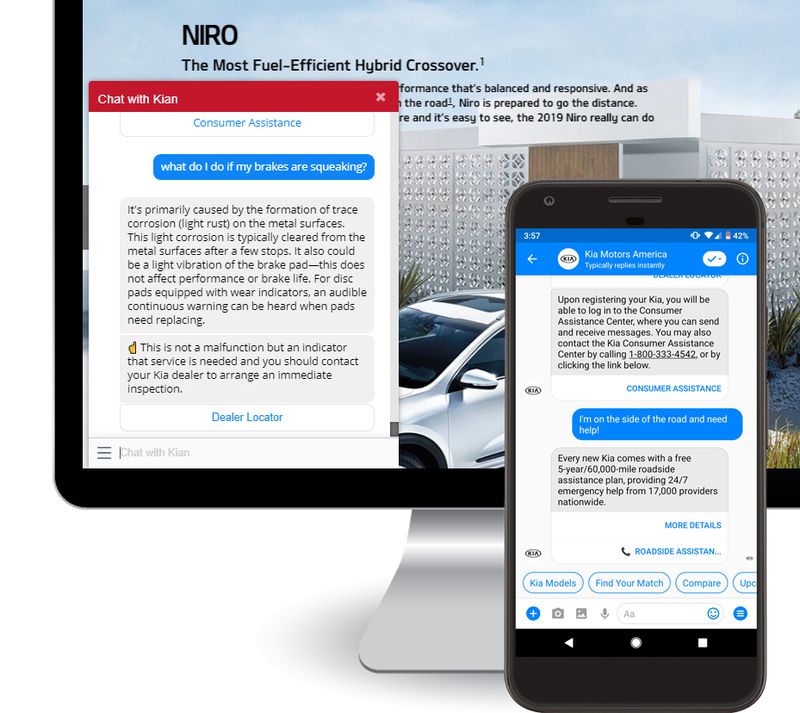 Our Ownership Agent allows auto manufacturers to give their customers immediate answers to their most commonly asked questions 24/7 on the messaging channel the customer uses most. A significant percentage of current owner questions are about their account with the captive finance organization. We currently work with two major captive finance divisions at global automakers to answer account specific questions. Now consumers can take immediate, 24/7 actions like making a payment, setting up AutoPay, enabling paperless billing or answering simple finance questions, like what users should do if they've accidentally paid twice. The ownership agent can also re-engage with customers when it's time to return a lease, or upgrade to the latest model. 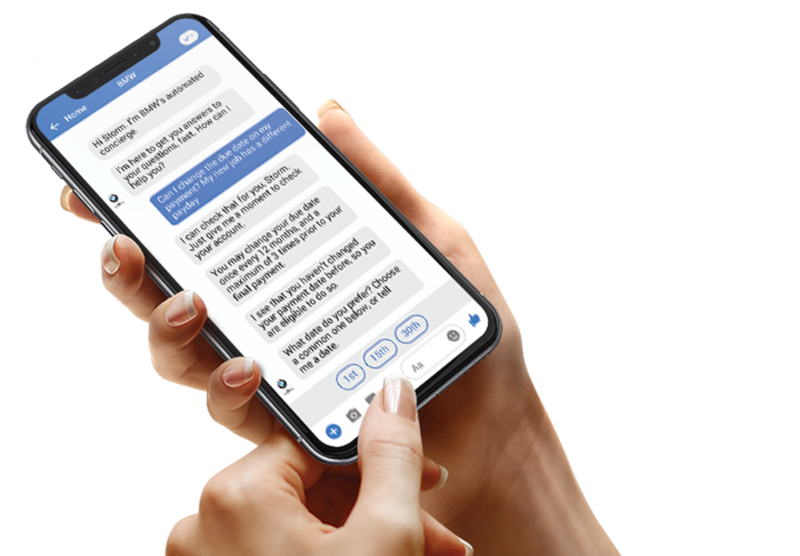 Assistant-rooted social media ads promise instant answers and opens the digital assistant to assess the user's needs and deliver the appropriate information. 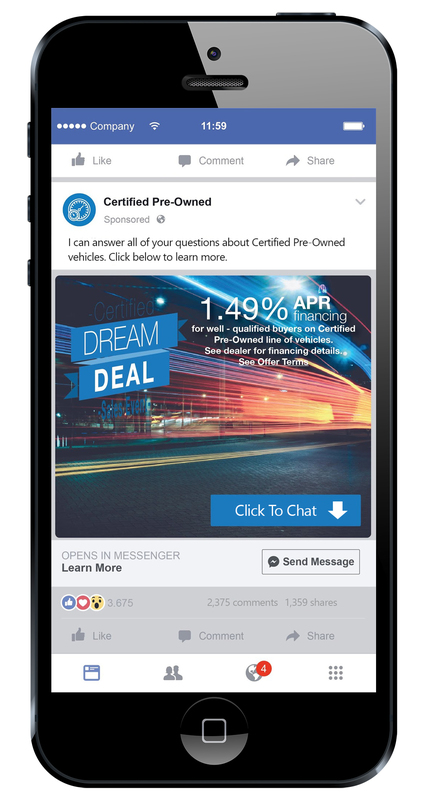 Users that click through to the Messenger can also be captured as leads and re-engaged with follow-up messages displaying contextual information. The Messenger Marketing platform will integrate with your internal CRM in order to communicate with owners in order to help them sign up with their online owner portal, their finance portal, or search for recalls. Instant delivery & attention of SMS but with the attractiveness and automation power of email. Programmatic display ad campaigns that interact with users can be more targeted and deliver up at an 87% lift in engagement compared to traditional click-through ads.